They say, you know, that a picture is worth a thousand words, so that’s what we’re going with today. 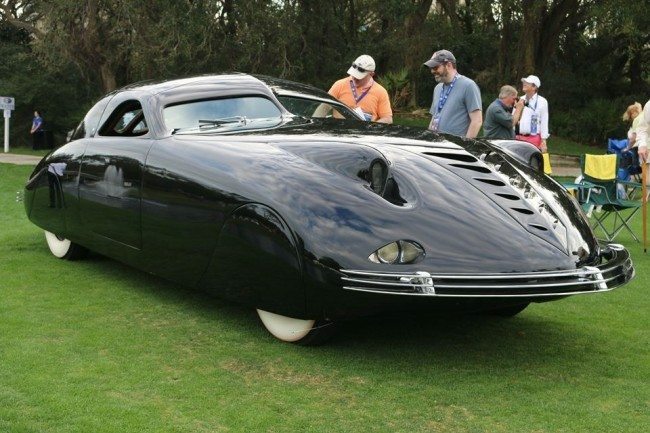 Enjoy some of our favorites from last weekend’s incredible Concours at Amelia Island. Let’s start with the incredibly cool 1958 Phantom Corsair out of the Harrah Collection. 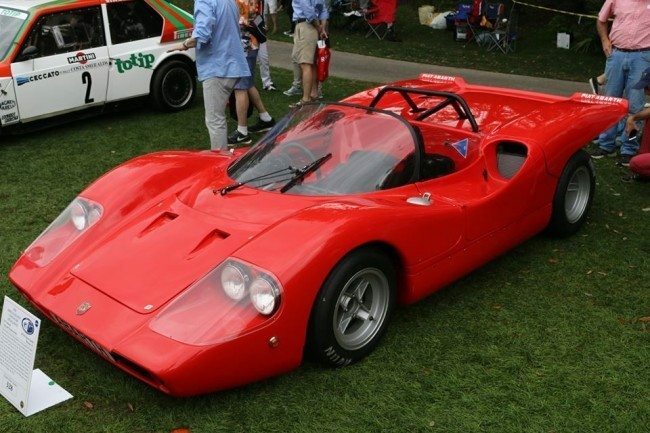 How about this sweet 1970 Abarth SE 010 Sport Spider that raced at Monza, and was displayed at the 1970 Turin Auto Show. 1 of 40 built, it belongs to our friend Craig Brody, who by the way, is one of the premiere vintage guitar dealers in the country as well. 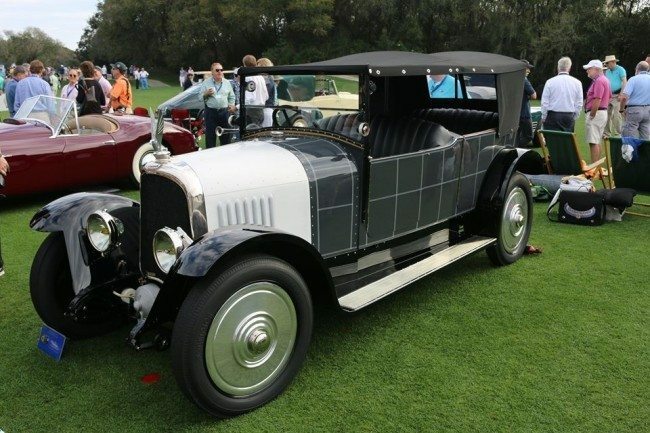 Our pal Ed Fallon brought this highly original 1924 Avions Voisin C4S Sport Tourisme that is one of 2 known and a CCCA Full Classic. It’s an early monocoque chassis with aluminum, copper, and other lightweight alloys used in its construction. Gabriel B Voisin favored the Knight-type sleeve valve engine. Stored in a garage since 1975, this 1965 Vette is one of 41 “big-tank” cars and one of 3 black on black cars known to exist. Nicely optioned with power windows, steering, and brakes, and a transistorized ignition, it was immaculately restored by our friend Kevin McKay. 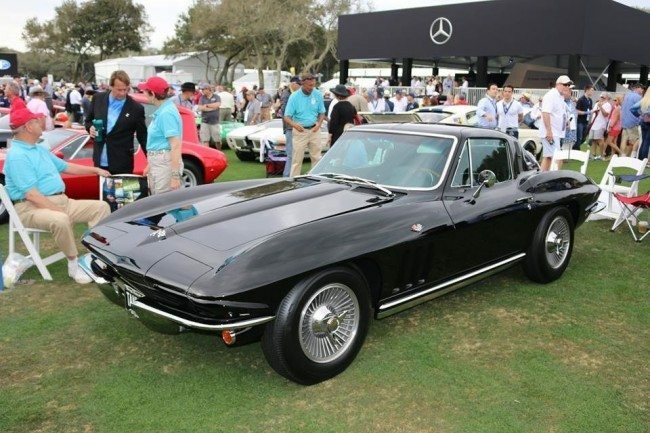 Stay tuned for more highlights from the incredible Amelia Island Concours 2016. Do you need to get insured prior to bringing your vehicle to an event? Let us show you how we are more than just another collector vehicle insurance company. We want to protect your passion! Click below for an online quote, or give us a call at 800.678.5173.